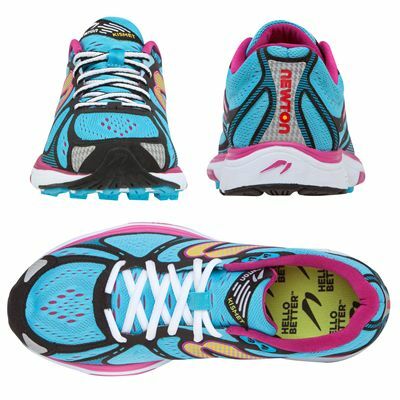 For runners who need additional stability and support, the Newton Kismet stability ladies’ running shoes are a great option, with their extended medial bridge that stabilises each stride. The running trainers are suited to both training and racing, and the Action/Reaction technology makes your running more energy efficient, transferring power better and offering good shock-absorption. The upper helps improve the shoe's structure, and its 360 degree reflectivity makes you more visible in dark conditions. 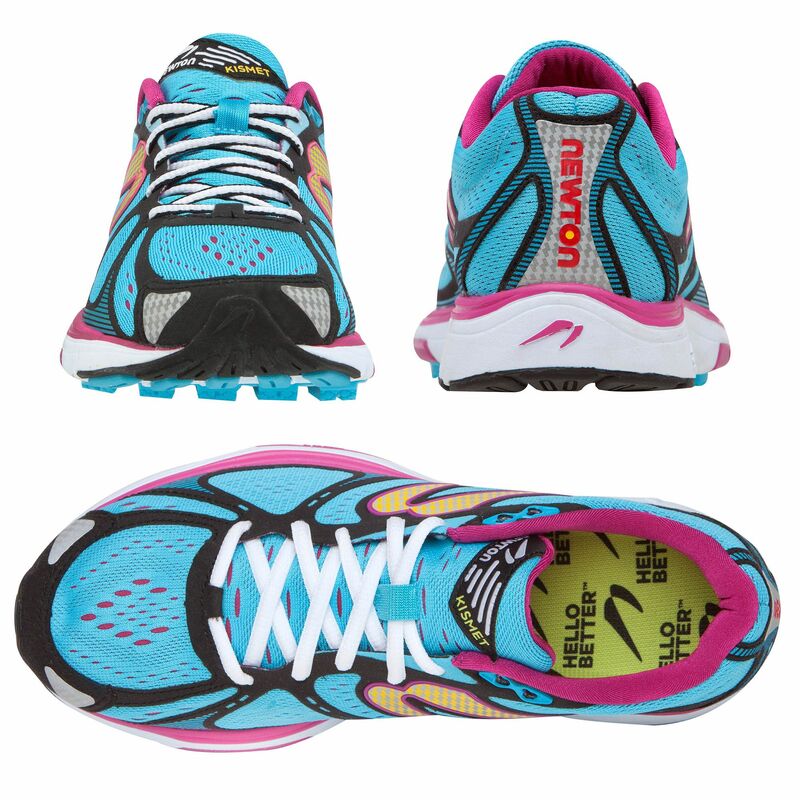 Comfort and cushioning to soften each stride come from the EVA midsole which delivers good feel and response too. 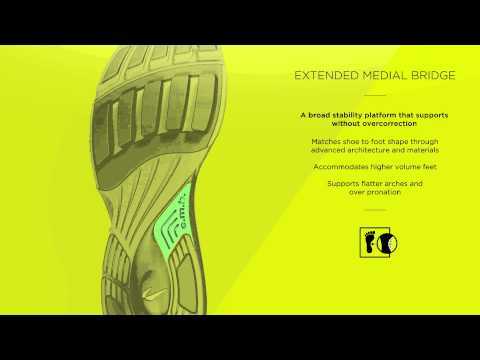 The outsole uses a very high-abrasion rubber compound to make it very durable. I absolutely love these trainers. So comfortable & light. Can't notice the rise in the toe area when running at all. I definitely got a bargain and would buy again. 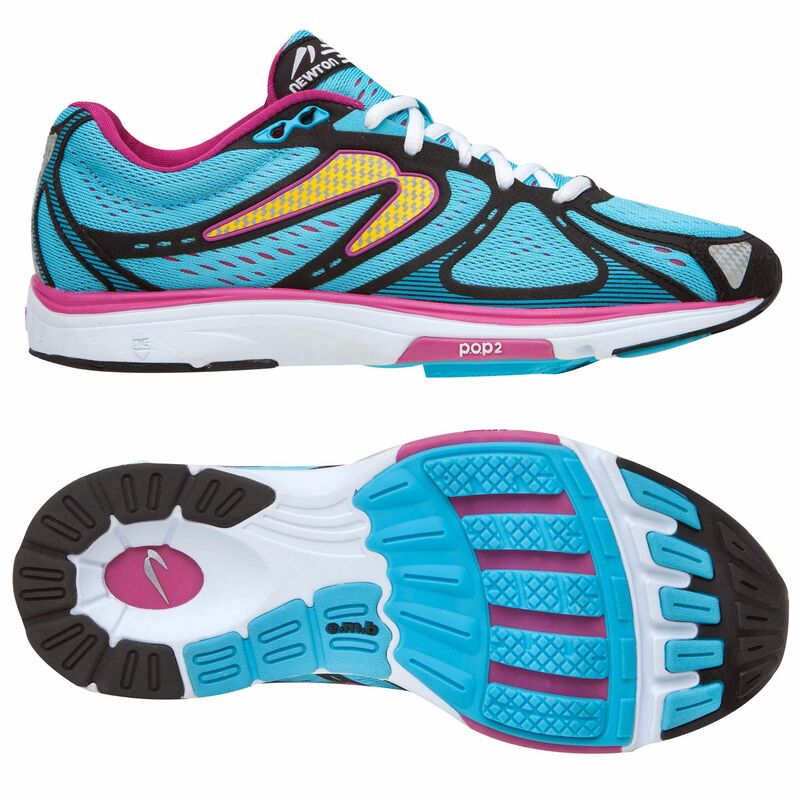 for submitting product review about Newton Kismet Stability Ladies Running Shoes AW14.